Gather around and experience the power of your family's new centerpiece. 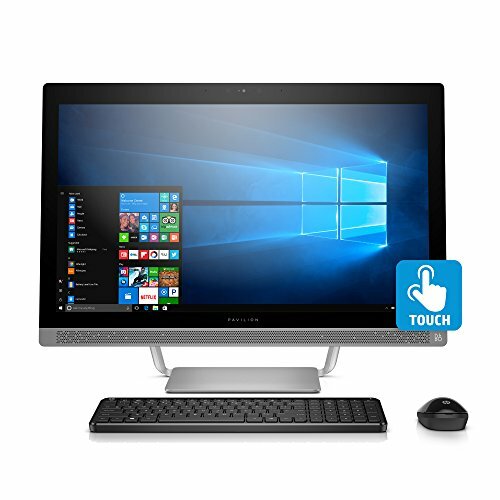 The HP Pavilion All-In-One brings style and security to the center of your home. Why buy: A family-friendly All-In-One with the power you need to go from media streaming to homework conquering. Display: 27-inch diagonal widescreen Full HD (1920x1080) IPS touchscreen; Control your entertainment from the screen and get 178-degree wide-viewing angles. Memory: 12 GB DDR4-2133 SDRAM; Designed to run more efficiently and more reliably at faster speeds.